Today I get to go to a shower to celebrate a new little person who will be coming into the world very soon! In honor of this and in celebration of all the little ones in our lives, I'm posting a sweet nursery print today. We love our little ones so much, and we show them every day. This is just one way to put that fact on display. 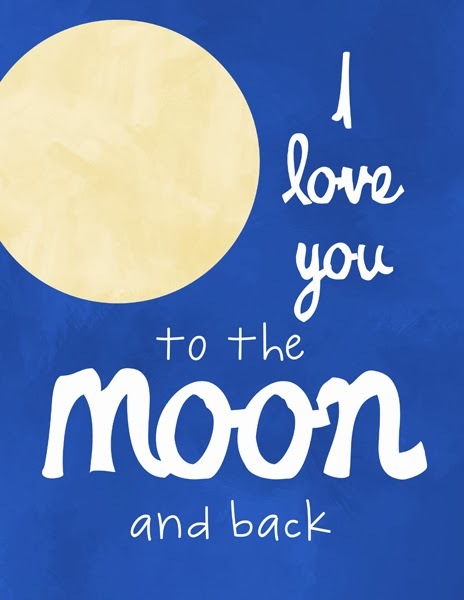 Yep that is mine and JJ's secret saying...To the moon and back!